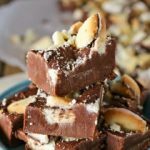 Delicious Mint Milano Cookies crumbled into the best homemade fudge recipe ever makes this Mint Milano Fudge that is over the top to die for! It’s amazing! Oh my word have I created a match made in heaven. 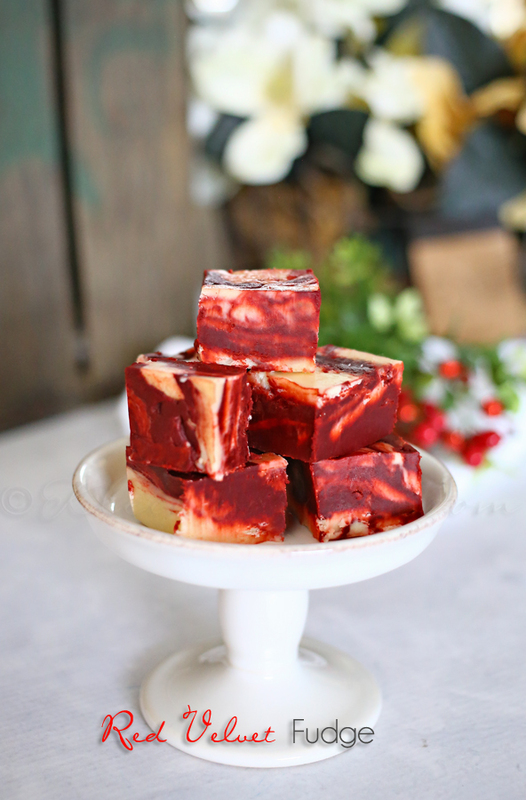 I think I have talked about how much I love fudge, especially during the holiday season. It’s overflowing around here. But I also enjoy a good store bought cookie too. Particular ones are favorites around here – like Mint Milanos. Oh my- the light buttery cookies sandwiched together with mint chocolate. WOW – the whole family loves them. So while sharing some with the kids one evening after dinner it came to me. 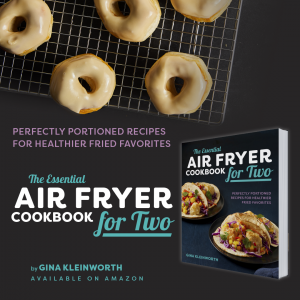 I thought “how great would these be if they were smothered in fudge?”. 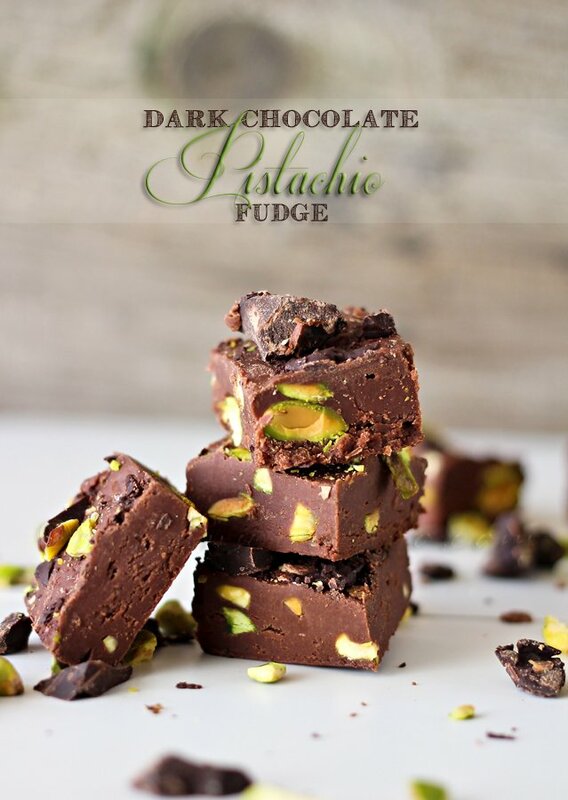 I immediately whipped up a batch & I was so thrilled that I had the idea because it turned out awesome! 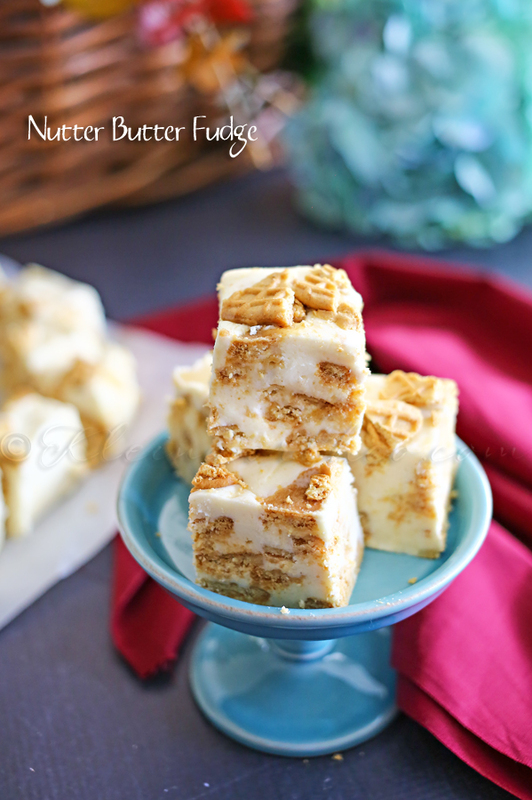 I didn’t think I could improve upon my classic fudge recipe that my mom passed down to me. It’s absolutely perfect all by itself. But really, it’s so much fun to mix things in & make new flavors. 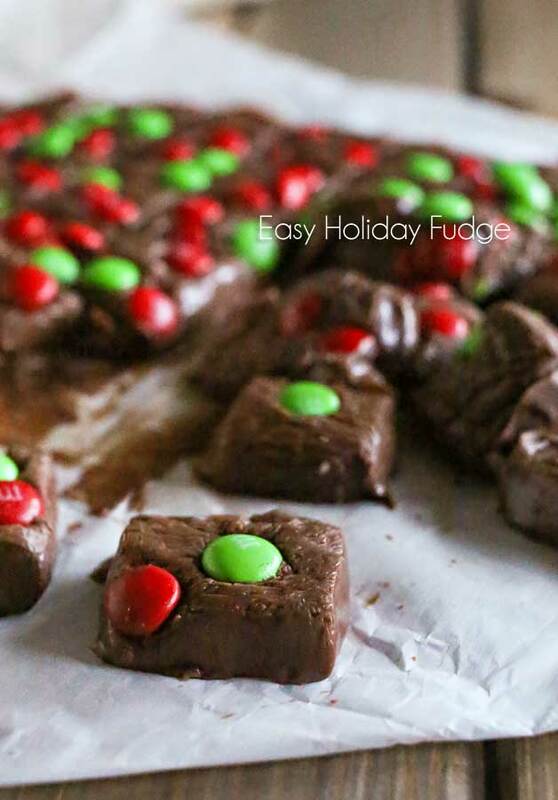 That has been my favorite thing to do this holiday season- create new fudge combos. But so far- this one is definitely my favorite. Oh my it’s so good. I can’t stop eating piece after piece. 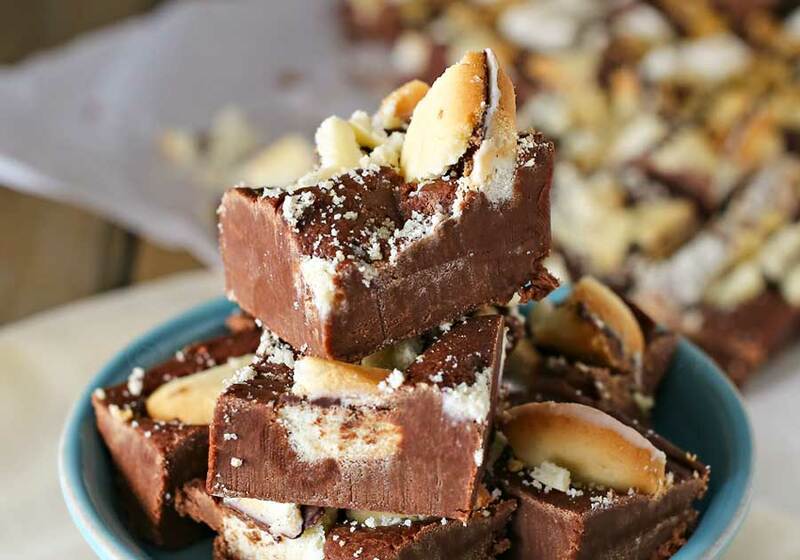 Delicious Mint Milano Cookies crumbled into the best homemade fudge recipe ever makes this Mint Milano Fudge that is over the top to die for! It's amazing! Put semi-sweet chocolate chips & vanilla in mixer bowl. Set aside. Heat sugar, margarine, evaporated milk & marshmallow cream in 3 qt. heavy saucepan over medium heat. 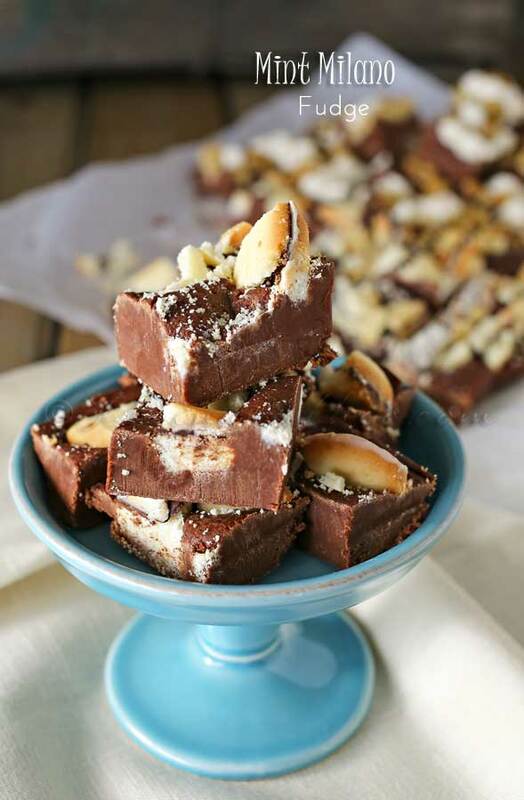 If you love those delicious Mint Milano cookies – you will definitely want to make this fudge! 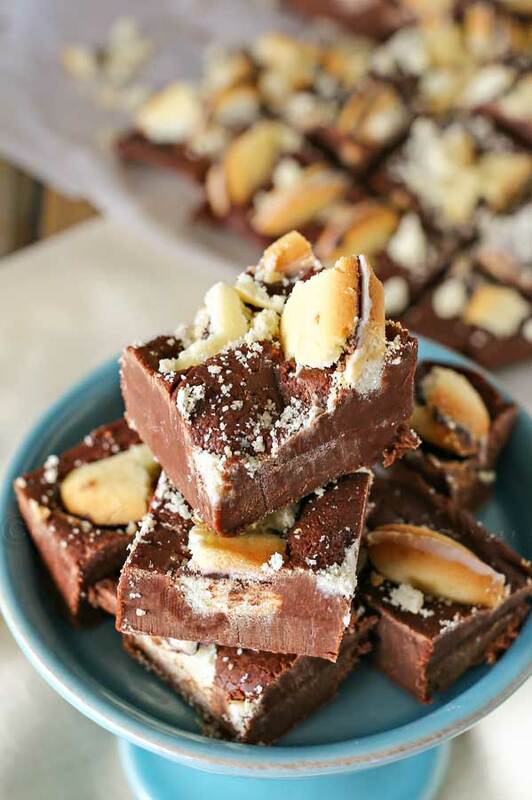 Looking for more great fudge recipes like this Mint Milano Fudge? Oh how I miss Milanos!! Yay! These have hubby’s name all over them!